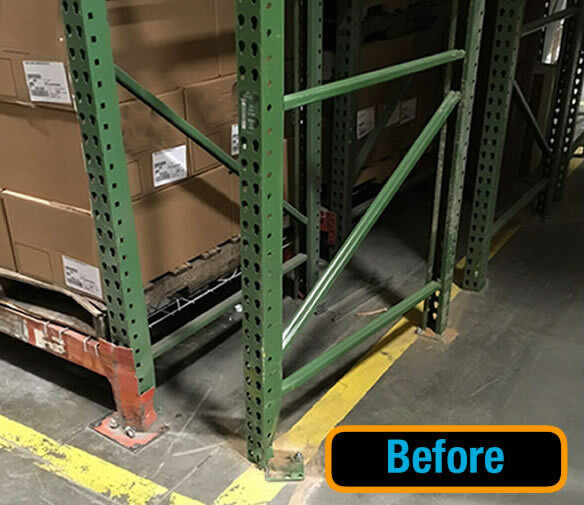 Are your warehouse racks damaged by forklift abuse, causing an unsafe, unstable work environment? 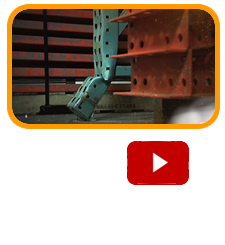 Don’t unload your racking or spend more than needed, simply replace the damaged uprights with our Rack Avenger Fully Adjustable Rack Repair Kit. 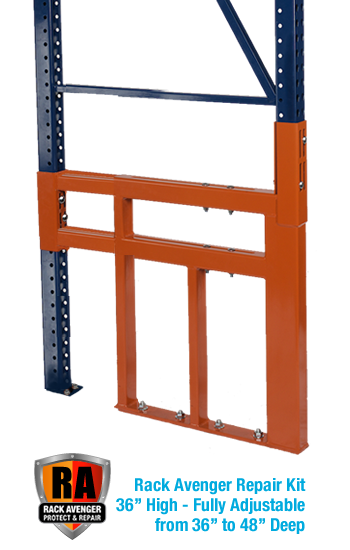 Adjusts from 36″ to 48″ deep and retro-fits to almost any kind of pallet racking. 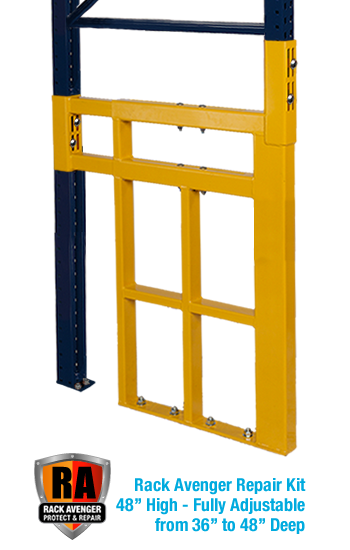 The warranty protects against forklift impact damage and prevents potential rack collapse due to forklift impact. Great quality products at a very competitive price and excellent customer service. They always exceed expectations and go above and beyond. They always stand behind their product as well as their service which is hard to come by this day and age. 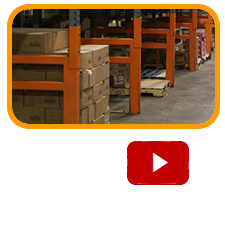 Had a great experience with Pallet Rack Avenger. 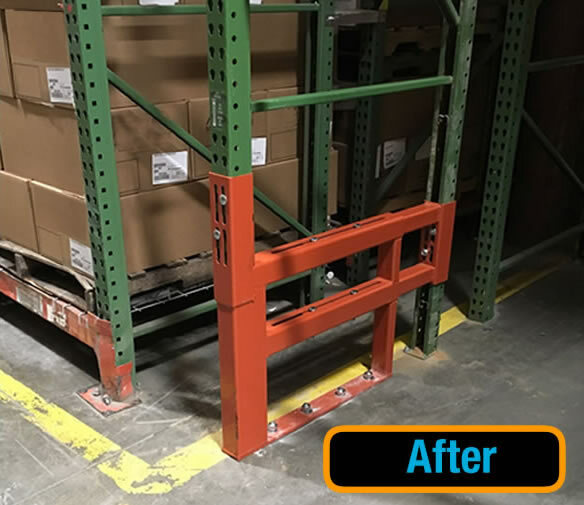 Due to some previous fork lift damage, we need racks repaired right away. They were able to give us great pricing and fill our order same day. They definitely went above and beyond. John, our rep was extremely responsive and helpful. We did some research prior to purchasing the Rack Avenger Kits and found that they were the only repair kit with a solid warranty. The 20 year warranty is what sold us. Great response time. They called us back same day with a quote. Nothing ambiguous in the quote. We needed to make a decision right away and their lead time was within 1 week! 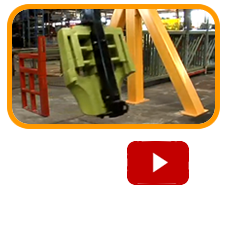 *We will repair or replace FREE OF CHARGE any parts or sections of any uprights damaged by forklift impact below the seat height on any RACK AVENGER KITS purchased. In addition, we will replace the damaged kit for free along with the shipping and labor. 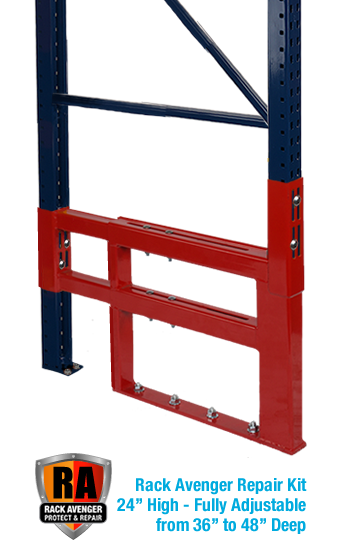 Standard heights for RACK AVENGER KITS ARE 24”H, 36″H or 48″H seats, however any other custom height will also be covered below the seat height determined at time of quotation or purchase.